We are pleased to report the exciting developments in the battles to save the Izembek and Arctic Refuges from destructive developments. These and other issues are discussed below. On 29 March 2019, Friends and eight national conservation organizations scored a major victory when the Federal District Court in Anchorage granted the motion for summary judgment in our lawsuit that challenged the legality of the land exchange and road through the heart of the Izembek Wilderness. In her opinion that invalidated the land exchange, Judge Gleason ruled that the process for land exchange authorized by the Secretary of Interior was “arbitrary and capricious.” This decision halted all activity related to the transfer of Refuge land and the construction of a road. 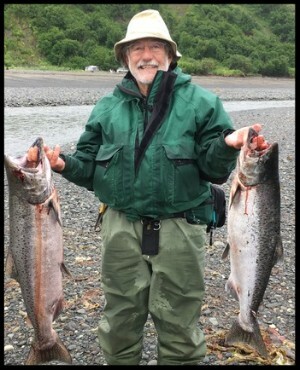 We are all extremely indebted to the staff of Trustees for Alaska who did an amazing amount of superb legal work that resulted in this wonderful victory after decades of battling to protect Izembek from this proposed destruction. However, this is not the final event, as the road proponents will continue to develop legal and legislative approaches to undue this rejection of the road. We and our conservation partners and legal team will closely monitor any such actions and will mount all available legal and legislative challenges to counter any attempt by the Department of Interior (DOI) to revive the unacceptable land exchange and destructive road. Check out the Trustees for Alaska press release for more information. The DOI continues to press forward with plans to sell leases for oil and gas development in the Coastal Plain of the Arctic Refuge. A major national effort resulted in an extensive set of technical comments that were submitted by Trustees for Alaska on behalf of the numerous, serious deficiencies in the Draft Environmental Impact Statement issued by the BLM. Friends also submitted more general comments. We await the release by BLM of data concerning the number and nature of comments received in response to the national campaign by conservation organizations, including Friends, to encourage their members and the general public to express their concerns about the hurried and flawed process by which the BLM and DOI are attempting to ram through this prosed desecration of the Coastal Plain. A parallel campaign has been spearheaded by the Gwich’in people of the United States and Canada to prevent the desecration of this Sacred Land and their subsistence culture and way of life. They and scientists and conservationists recently provided powerful testimony on the Arctic Cultural and Coastal Plain Protection Act, H.R. 1146 introduced by Representatives Huffman and Fitzpatrick to prevent the proposed oil and gas development in the Coastal Plain. 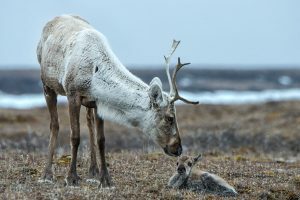 In furtherance of these goals, the Alaska Wilderness League lured our longtime refuge champion Desiree Sorenson-Groves from the National Wildlife Refuge Association to head the national coalition to protect and preserve the Arctic Refuge. We welcome her able and energetic leadership will continue to work closely with Desiree and the coalition. The other dangerous aspect of the proposed oil and gas development is the plan to conduct an extensive and disruptive seismic exploration of the Coastal Plain. In spite of their frantic rush to further this program, those involved were unable to perform the necessary analyses required to obtain authorization for the seismic activity in time for 2018-2019 winter season. The current plan is to do the required analyses and issue findings to support seismic exploration in the coming winter season. The conservation community will closely monitor these developments and take whatever actions are necessary to prevent the undesirable impacts of seismic exploration. Interestingly, a recent New York Times investigation revealed that the closely-held and secret data from the only test well ever drilled on the Coastal Plain found little support for the presence of recoverable oil to justify oil and gas development. The proposed changes to the Kenai Refuge predator control regulations have not been released. Information from the FWS indicates that proposed drafts have gone back and forth between the Refuge, Regional Staff, and DOI regarding the extent to which the undesirable State demands will be incorporated into the published draft of the revised regulations. We anticipate that proposed regulations will soon be published in the Federal Register, and the conservation will closely monitor any development and be prepared to provide the responses necessary to protect the integrity and biological diversity of the Kenai Refuge wildlife.